Natural and effective: to respond to these two vital requirements, Bios Line products are the result of continuous research and improvement. We find this philosophy in Cell-Plus too, Bios Line body-care range that is born of the selection of raw materials and continues with lab research to extract the most effective concentration of active principles from every single ingredient. The result are innovative formulations, sensory textures and the promise of a perfect body. Tailor-made because designed to combat all kinds of cellulite and imperfections. 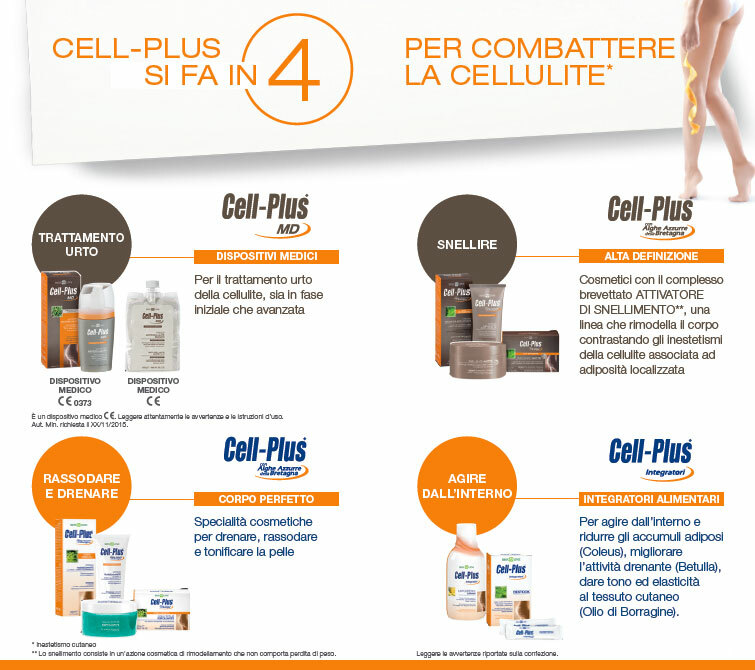 Cell-Plus is the global strategy for a perfect body all year long: inspired by the vegetable world and made by research.